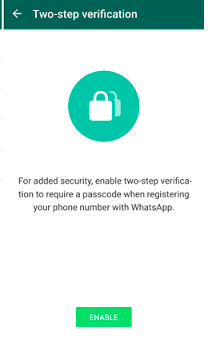 Hi, here is another big news for all WhatsaApp users; Whatsapp enables two-step verification security option now. That is no any other users can register to your WhatsApp pre-registered number even he got your sim [number]. On previous week we reported an awesome news on WhatsApp new status tab feature and hope it will release soon. anyway, this two-step verification is now live and anyone can try. Yeah, there were many security researchers and WhatsApp users complained about WhatsApp security. That is if someone can get access to your number he can easily use your Whatsapp account. of course, it is a big security loop for a messenger like WhatsApp. But don’t worry now WhatsApp comes with a solution 2 step verification feature which can protect your WhatsApp number in all manner. What is WhatsApp two-step verification feature? WhatsApp two-step verification feature allows you to add password protection on to your WhatsApp account. That is while registering your number on WhatsApp on a new device, it asks password if you enabled this feature. Users can enable WhatsApp two-step verification feature on their WhatsApp account now. so after this, no one can activate WhatsApp on the same number unless he has both your password and access to your phone number. 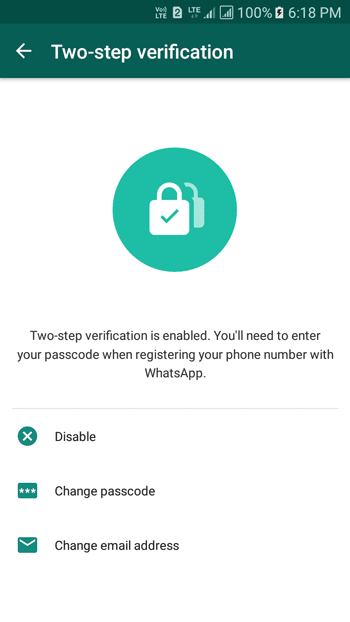 How to enable Two-Step Verification protection on my WhatsApp number? now enter your top secret password/ passcode there. this will act as your main password of your WhatsApp account. Also provide your email id there. This will help if you lose the password in any case. That’s how to protect your WhatsApp account using two-step verification feature. Friends, so don’t wait for an another moment. follow above steps and enable WhatsApp two-factor authentication. Hope you enjoyed reading this WhatsApp two-step verification feature news. If you have any doubts regarding this, then don’t hesitate to comment below. Also, don’t forget to share this new with your friends and relatives.